Philadelphia folk rocker Timothy Showalter is back at it with his sixth LP under his project Strand of Oaks, compiling a pastiche of moody Americana tones and textures. 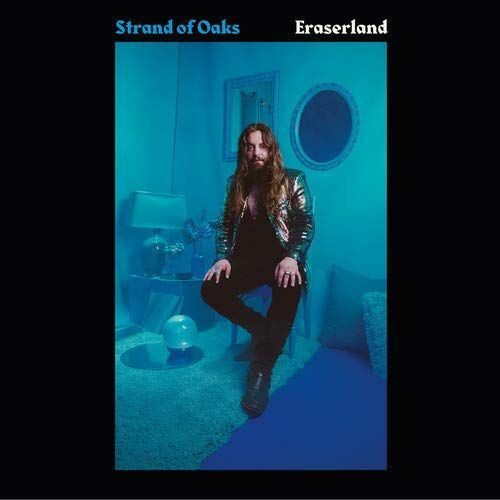 Eraserland opens with the nearly six minute journey "Weird Ways," which begins with a sparse verse, reminiscent of Springsteen's Nebraska, with hints of sentimental, atmospheric guitar. A third of the way through a tight snare and tambourine kick in, shifting gears into an alt-country rocker before entering a bare, atmospheric breakdown and climaxing in a fuzzed-out jam. "Keys" starts off with an almost Polynesian pop vibe, with its distant slide guitar lick, before settling into an introspective ballad about dreams we have in life and the reality of aging. "Ruby," with its wall of jangle guitar and Farfisa-like organ, takes Showalter's melancholy mood and turns into a catchy, steady rocker.